Whatsapp is an instant messenger app which allows the user to send text messages, images, videos, document and more. WhatsApp was founded in 2009 later it was acquired by Facebook in 2014. . The app is available for iPhone, Android, BlackBerry, Windows devices and Nokia symbian phones, WhatsApp has more than 1 billion users. WhatsApp became an important part of day to day life. We all use WhatsApp daily to stay connected with our loved once so we might think we know everything about WhatsApp, However, we’re probably wrong. Like anything tech related, there are always more tricks, tips, and features to learn about and use. So in this article I’m writing some cool WhatsApp tips to chat on WhatsApp smartly. Read Receipt In Group Chat :- Many of us didn’t know how to check who read our messages in group chat. To check read receipts in group chat long press the particular message and tap on Info option. Here you can see the list of people who seen your message. ‌ Give Specific Reply In Group Chat:- To avoid confusion in group chat now you can reply to specific messages. To reply a specific message long press the message which you want to give a specific reply and tap on reply button. ‌Create Shortcut To Important Contact: – You can create a shortcut on your home screen for important WhatsApp contacts and send message to them directly from home screen. ‌Mute Group Chat :- To get rid of unwanted messages from group you can mute a group for a specified period of time. You will still receive messages sent to the group, but your phone will not vibrate or make noise when they are received. 1.Long press on the group name in the Chats list. 3. Uncheck Show notifications to stop notifications from being shown in your notification drawer. ‌Live Broadcast :- It’s annoying to send festival greetings to all of your friends one by one but using live broadcast feature you can send festival greetings and other important messages to all of your friends at once. To start new broadcast tap on menu option >> new broadcast list >> add required contacts to broadcast list. 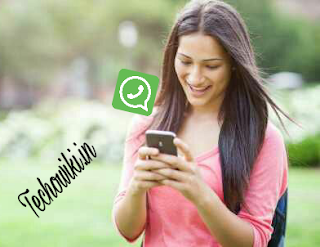 ‌Send Location Information :- You can share your location to your friends directly from WhatsApp chat. Note :- GPS must be turned on to send your location. 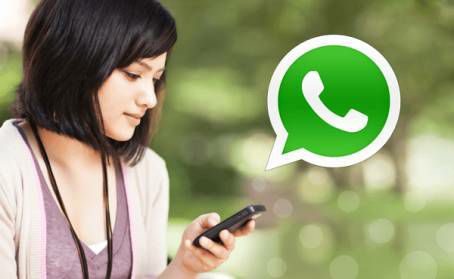 ‌Change Chat Wallpaper :- Bored of default chat wallpaper, you can change chat wallpaper in WhatsApp. To change chat wallpaper, open any chat click on menu option from top right corner, then click on wallpaper option, here you can set your favorite wallpaper. What is jio dth official website ? And how to apply jio dth online?